I must admit, the mechanics of Dr. Who baffle me, and I’ve seen 118 complete seasons. (If you have a chance to watch Patrick Stewart as the Doctor via timeline Q49:NOF1983, I highly recommend it.) I have yet to visit a timeline in which the inside of an object can be larger than its outside, though I did once have brunch with a girl who ate her double order of pancakes and mine, which did not seem possible, given her petite frame. Such a manipulation of space may be possible, but I can’t see how. It would require a type of physics that does not, to my knowledge, exist. I generally council against traveling to timelines so divergent from your own as to be unrecognizable. There is a theory that no one ever returns from the NV12 divergents is because the gravitational force itself (not the mass of the Earth) is different enough to be more than disorienting; it is deadly. 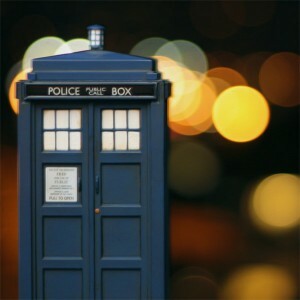 The Tardis might look nice, but I wouldn’t want to have my molecules scrambled just to have a look inside.